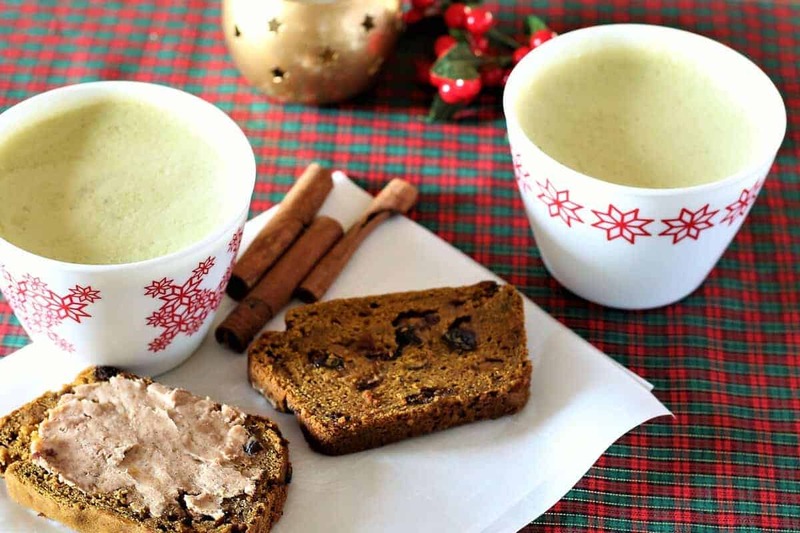 Matcha Chai Latte. 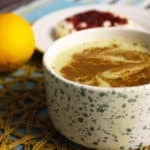 Starting the day out with homemade Matcha Chai Latte made with non dairy milk and a variety of spices will greatly increase the chances that it will be a great day. Making your own chai means that you can treat yourself whenever you need to, and it won’t be loaded with preservatives and sugar. Vegan, gluten free and dairy free. Serve with Pumpkin Cranberry Bread. 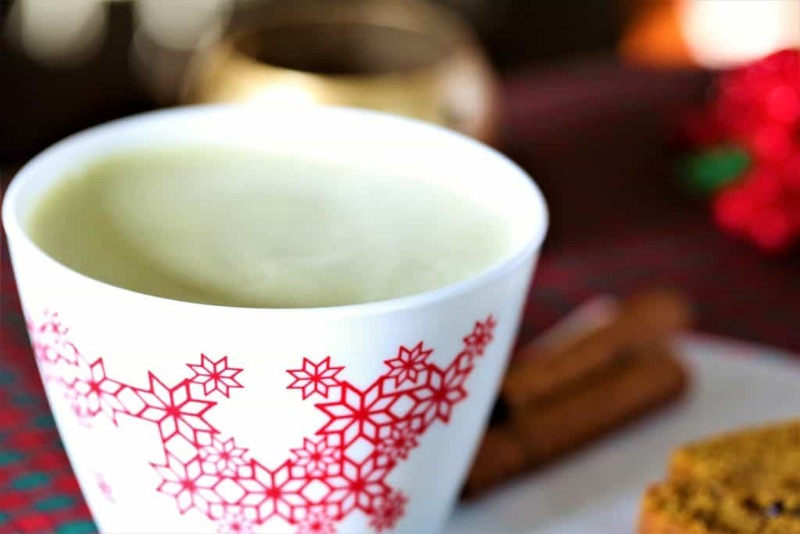 Delightfully smooth and creamy, vegan matcha chai will start your day off right. Heat milk in pot, and add matcha, spices and maple syrup. Add mixture to small blender and blend until smooth. NOTE: Make sure that you blend your ingredients in the blender BEFORE your latte. 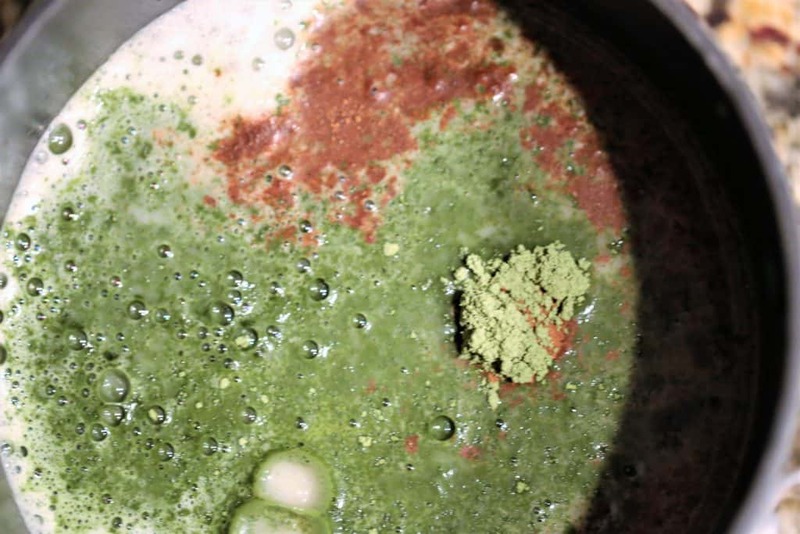 DO NOT put hot ingredients in a Nutribullet.